As the days tick down to Brett Favre’s return to the Packers as part of his enshrinement into the Packers Hall of Fame, I have been reminded about the anger that some have against the former quarterback. No one will ever forget the summer of 2008, and the drama that hung like a cloud over Green Bay during that odd period of time. It was the best soap opera that ESPN could buy, and EVERYONE paid attention. Likewise, no one will ever forget the 2009-2010 seasons. While Aaron Rodgers was establishing himself as one of the best quarterbacks in the league, Favre had taken his talents to the rival Minnesota Vikings. Take the drama of the summer of 2008, multiply it by infinity, and that’s what the four games between these two teams became. While the Vikings came *this close* to going to the Super Bowl with Favre under center, the Packers did go to the Super Bowl in 2010-and won-with Rodgers under center. 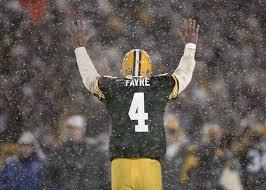 So here we are, five years removed from Favre’s last game in the NFL. Favre has admitted fault in his departure from the Packers. Aaron Rodgers and Favre have shaken hands and moved on from any issues they had. All of the talking heads in the Packers organization have voiced their support in welcoming Favre back into the family. Let bygones be bygones, time to move on, right? Right. Except for a select few who continue to hate Favre with all of their energy because of his unceremonious exit from the Packers. Well, I have a message for everyone who feels this way. Favre hasn’t played in five years. His days of wearing purple and white uniforms for the Vikings are a thing of the past. He can’t hurt you anymore. He can’t beat you anymore. Yet there are some who just cannot get over this. It is shockingly disturbing. My advice for those who harbor this resentment toward Favre all these years later is to find something good in your lives to pour your energy into. Hanging to hate from the past is not healthy. It’s actually kind of scary. Football is supposed to help take the stress away from the day-to-day grind. An escape. Solace from all that we worry about for a few hours on Sundays. So why hang onto hate? Why? What do you possibly gain from that kind of action? To show the world that you are still pissed at a football player? Because he played for a rival team? This entry was posted in Packers 2015 - 2016 Season and tagged 2015-16 season. Bookmark the permalink. Excellent message, you are right on! Do not spend much more time, trying to change the minds of a few! They are froze in their opinion and are not likely to change. I,am disappointed, forever, that all the events happened as they did! Just, as I am about Super Bowl opportunities, that are lost. Brett, disserves to be honored! I’m over Brent and his whiny BS and I moved on the day they shipped him out of town, however I won’t be cheering him on when they hang his name up etc. He lost my loyalty when he wanted special treatment!! I simply don’t like him and will not be present for his HoF introduction. When they do the jersey retirement at halftime against the Bears, I’ll be in the Atrium. Does that make me a hater? I don’t like the guy for the way he put himself ahead of the team, and was disingenuous about his release from the Jets just to get to Minnesota to “stick it to the Packers”. He made that choice, and I don’t have to like him for it. I won’t go out of my way to be negative, but I won’t give him or any of his causes 1 cent. I won’t lose sleep over what he says or does any more. Too many Packers fans allowed the media to drive this story and see it for what it wasn’t. Favre was bombarded with “when you gonna hang it up”, “how much longer you gonna play” after every game the last 3-4 seasons he played. It was obvious Ted Thompson and McCarthy wanted to move on from Ron Wolf GM era and the Mike Sherman drafts. Knowing Rodgers was NOT gonna beat out Favre in any camp, they help push Favre’s retirement as much as anything else. Even when I saw the original “retirement” announcement–I KNEW Favre wasn’t ready to quit and was not surprised when he retracted the retirement. Green Bay management’s black eye over this comes from incredibly STUPID decisions–MANAGEMENT DID NOT HANDLE FAVRE AS YOU WOULD EXPECT FOR A HALL OF FAME QB! The SF Niners moved on from Joe Montana by trading him to a team of HIS choice, the same option Favre asked of Packers. Instead they embarrass themselves by offering $20 MILLION to Favre to stay retired. That’s an insult to any professional, especially somebody of Favre’s talent. To add more insult, Thompson refused to trade to any NFC opponent and sent him to Jets with a different offensive scheme to learn. I cheered when Favre responded by nearly putting Jets in playoffs until he injured his throwing arm and was NOT surprised by the phenomenal season he had at age 40 for the Vikings, a season that NO 40 yr old QB has ever had in NFL history and one 95% of all QB’s never achieve. IT’S TIME PACK FANS–Brett Favre was THE most unique player in NFL in his prime years and even fans who didn’t like him tuned in to watch him play. He is a warrior on the field, his stats and records prove it and NO QB in NFL history has had such an impact as he has especially without ever missing a game. There are names that can be mentioned but NONE ever took the punishment, played through the injuries and lasted so long at such a high level of play as he has. We Packers fans can only hope Aaron Rodgers can play at an MVP level as he has for many more seasons–it’s hard to think of any team that has had the successful run of two talented QB’s of this quality for so long. I am very grateful for what Brett Favre did for the Packers but he brought much of the bad stuff on himself. Why did the media bring up retirement to Favre? Because he brought it up 1st, that’s why! Of course they are going to ask him when he has talked about it. Yes the Packer organization wanted to move on but they still gave Favre every opportunity to be the starter. They flew down to his home and asked him point blank and he said he was done. At that point McCarthy and Thompson “moved on”. They prepared all training camp for Aaron Rodgers to be their starter. Then (as he had done several times) Brett Favre decided he wanted to play. Convenient how he waited until training camp was over and we all know how he hated that. 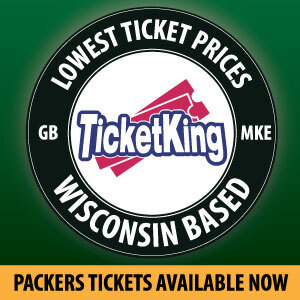 At that point the Packers made the right choice of sticking with Aaron Rodgers, which proved to be the right choice. Favre was so use to getting his way with Sherman, who let him do what he wanted all the time. Favre thought he was bigger than the team and the game and became such an egomaniac that he thought he was in charge. If he would have showed up for training camp, he would have been the starter no doubt. As you said “You knew Favre was not done” and so did he. Favre thought he was entitled to do whatever he wanted. WRONG! It’s still about the team. Yes, the 49ers traded Montana to the Kansas City Chiefs, who were in a different conference. If you think the 49ers would have traded Montana to a team in the same division you are CRAZY! Never would have happened. Montana was not vindictive like Favre. I was happy that Favre did well but glad he was unable to reach the Super Bowl with another team. I was also happy that in his final season with the Vikings, the Packers beat them twice including the beating of 31-3 at Lambeau. Favre is just as much and even more to blame with the way things ended with the Packers. That being said, Packer fans should not forget what Brett Favre did for them. That’s all in the past and Favre should get the praise he deserves. I wonder how many of these Favre haters that are out there still were around during the 70’s and 80’s watching the Packers play football? I was just a toddler during the Lombardi Era, but was more than old enough to understand what a horrible product the Packers put on the field in the 70’s and 80’s. That all changed when Brett Favre came to Green Bay, he helped make the Packers matter in the NFL again. Brett Favre had one losing season in 16 years as the Packers QB, the 2005 season when TT was cleaning up the mess left behind by Mike Sherman. He helped pave the way for the Packers organization to return to the top of the NFL year in and year out. 23 seasons ago Favre came in and rescued the Packers from sure defeat against the Bengals, and the greatest franchise in all of sports has never looked back! Thanks Brett, I’d hate to think where the Packers would have been had you not come to Green Bay! He was a great QB and I always loved watching him play. But in the end, we all saw him for what he really was – a great disappointment. You forgot about him, cheating on his wife. That’s enough for me to not like him.